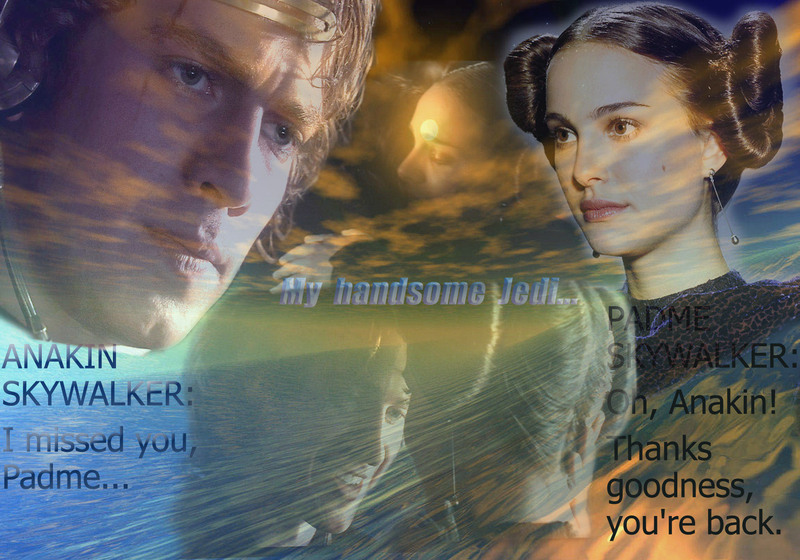 Anakin & Padmé Skywalker. . HD Wallpaper and background images in the bintang Wars: Revenge of the Sith club tagged: 2005 anakin padme. This bintang Wars: Revenge of the Sith photo might contain tanda, poster, teks, papan tulis, potret, headshot, and closeup. Did you make this? It is impressive! Love the quotes! No, but I wish I did. I don´t know how to do pictures like that. But it´s fun that you though I did it. And I´m glad that you like it though because I have not done it. I like this picture so much so that´s why I wanted to put it out.